Making the most of the season’s plentiful produce, this recipe uses crisp & juicy watermelon paired with aged balsamic, olive oil and sharp Macedonian feta for a flavourful and healthy dish to perfect any of your late summer gatherings. Arrange watermelon slices free form in a chilled shallow serving bowl, overlapping slightly. Season generously with half of the olive oil, aged balsamic, and a pinch of Maldon Salt. Cover the watermelon with the purslane, sorrel, and crumbled feta. Finish with remaining olive oil and balsamic, and another pinch of salt. Add enough freshly ground black pepper to give the salad some good residual heat. Serve chilled & enjoy! From fishing adventures in Haida Gwaii to foraging on Galiano Island, Chef rolls up his sleeves and gets stuck into discovering the delights of BC’s bounty. Here’s our guide to the five episodes, available to view on TELUS Optik TV on Demand now. Discover how Chef got to the point of opening his second restaurant Nightingale, with an inside look at how he sources his fresh seasonal ingredients. At the end of every show Chef Hawksworth will be preparing a signature dish, starting with Nightingale’s spot prawns with sweet peas and tempura zucchini flowers. Follow Chef Hawksworth as he visits Chef Jesse McCleery at his celebrated restaurant Pilgrimme on Galiano Island, and joins him on a foraging adventure to source Bull Kelp. Chef Hawksworth reunites with Chef Brad Holmes of Olo in Victoria, to reminisce about the days of being Chef Holmes’ mentor in a highly pressurized kitchen at his home base Hawksworth Restaurant. The team heads to the heart of wine country to meet with Chef Jeff Van Geest from Miradoro Restaurant at Tinhorn Creek Vineyards in Oliver, and source seasonal ingredients in Canada’s only desert. 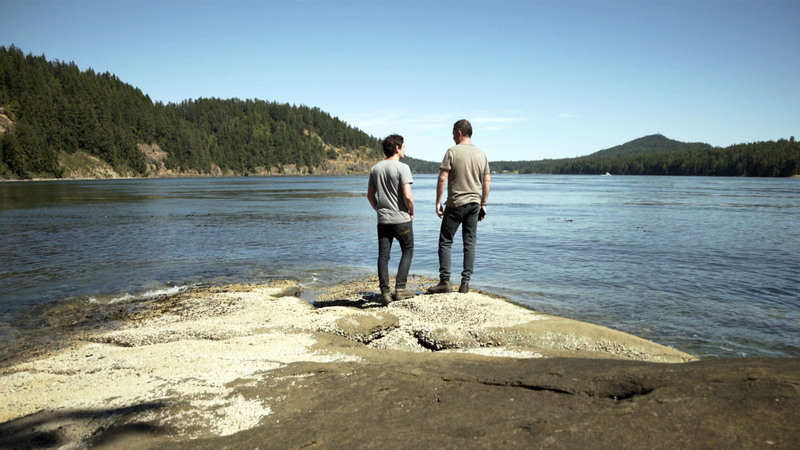 Journey to the West Coast Fishing Club in Haida Gwaii, where Chef Hawksworth gathers fellow culinary masters, Normand Laprise, Derek Dammann and Valentine Warner, for a ‘chefs’ jam’ of cooking and fishing adventures. 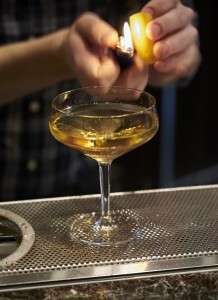 Stir Mezcal, Amaro Montenegro, Poire Williams, Grand Marnier and bitters together over ice with a swizzler. Add a flamed orange peel to finish, serve and enjoy as a delicious aperitif. The holidays are here and Bel Café has everything you need to treat yourself, and others, this season. Sweet treats such as Linzer cookies (eight pieces in branded box, $10) and vanilla shortbread (12 piece box, $14) make ideal hostess gifts, as do festive favourites such as light fruitcake ($22) and mince tarts ($5.50). Pick up a seasonal white chocolate, cranberry and orange entremet for holiday entertaining made easy ($6.20 single serving, $30 six inches and $40 for eight inches). Stock up on stocking stuffers such as the winter wonderland inspired gingerbread, vanilla and pear macarons ($2 each) and milk chocolate, chestnut and rum macarons ($2 each). Or slip a gift card for Bel Cafe, Hawksworth Restaurant or Nightingale into a stocking for the gift of an experience – arrange a date night or treat someone to their favourite coffee. Looking to treat your employees to holiday gifts? Contact Bel Café’s sales office at 604-605-3325 (ext. 1) for group orders to give everyone a happy Christmas.